Just a woman trying to rebuild a life - in Christ and in keeping with the family as the basis of everything I do. So, the parental units came and went. What an awesome visit! I had a blast even if they arrived the day after we had to put my sweet kitty down. Yes, Sassy-Anna did get put down last Saturday (a week ago). She did not have a virus that could be cured and the only step left was a CAT Scan to look for brain damage. The CAT Scan, positive or negative for brain damage, would have changed nothing and, in the end, the poor kitty’s life was over. She no longer ate, she no longer even tried to get to a litter box, her life became nothing more than laying around, waiting for me to put her in her little pocket of my jacket for cuddles. She slept with me the last night she was with us and we did snuggle her quite a bit before taking her to the vet. 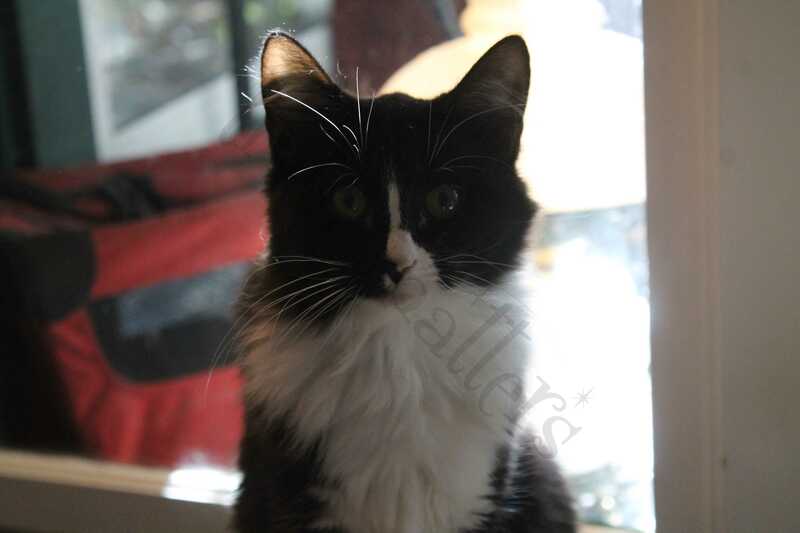 I feel bad for my children as they are still young and trying to grasp how a beautiful kitty could deteriorate so fast is a bit overwhelming. My parents were here a day longer than expected and we had a great time. 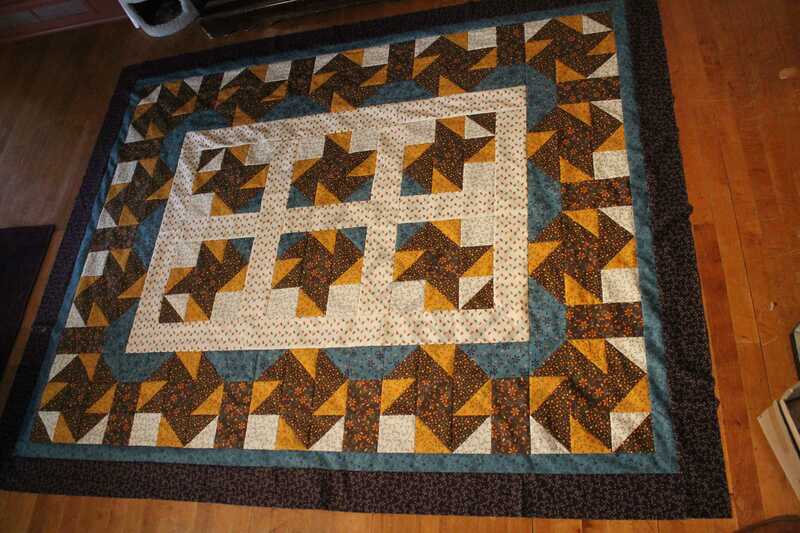 I’ve pictures and such but I’ll skip to the final part of our quilt – which I put together yesterday, after recovering from such a great visit! Created using (4) Block 3 and (2) Block 4. Block 3 is the top two and bottom two blocks, separated by sashing. The middle row is Block 4. You’ll notice that you turn the blocks to set them appropriately. 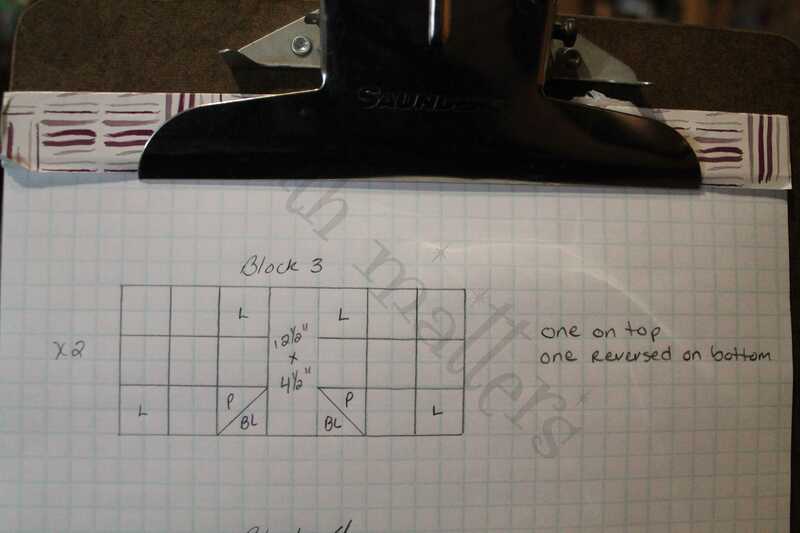 Taking (3) Block 2 and (4) Black/Blue 8 1/2″ x 4 1/2″ pieces we created in section one, you’ll attach one Black/Blue Sash and attach it to each of the Block 2 pieces. See above picture. You’ll create (3) of the above. On the third creation of Block 2 plus the Black/Blue sash, you’ll add another sash at the bottom as seen above. Two on the left are normal, the one on the right has an extra sash on the opposite (bottom). Make sense? Good! Do all the above TWICE. Create two sets. Look at the above picture – one set will be flipped reverse of the first. 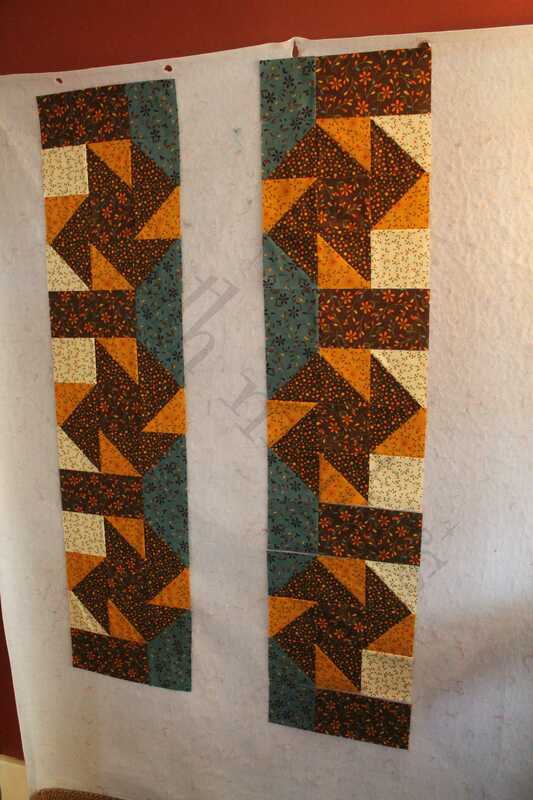 You’ll use a total of (6) Block 2 and (8) Black/Blue 8 1/2″ x 4 1/2″ sash. Attach them to the left and right of your center piece. Create TWO of these sets. 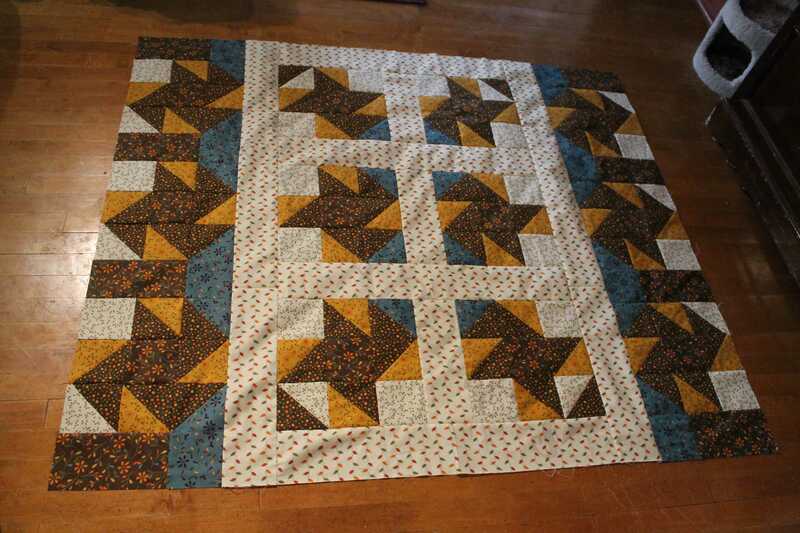 When attached to your quilt, you’ll flip the bottom one so the blue is facing the right way. 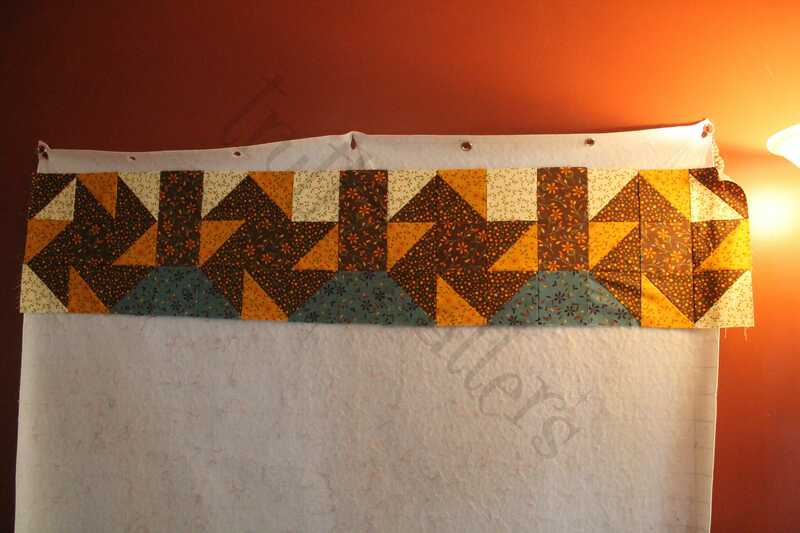 The first border (see Part ONE where it has the fabric for First and Last Border) is 2″ after sewing, so cut at 2 1/2″. 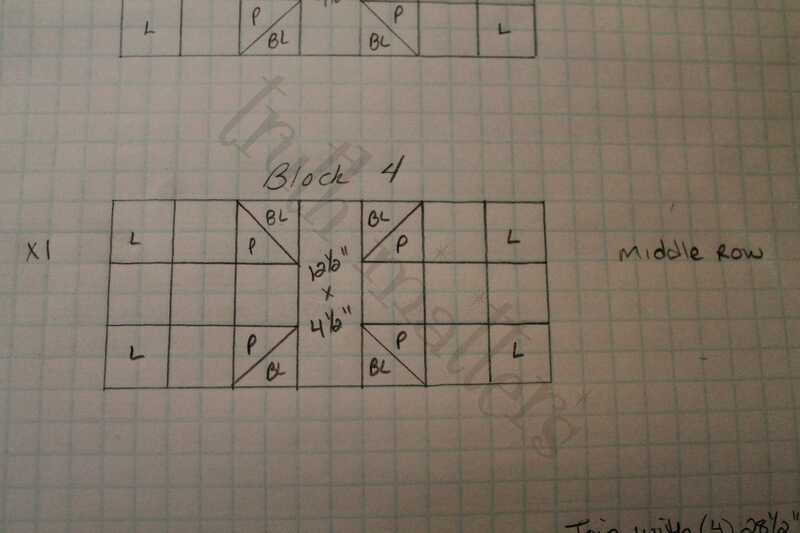 I would tell you how much to cut but I figured my math wrong on this section so I’ll leave it up to you to measure and cut correctly for this and the rest of the borders. I did have plenty of fabric for the borders – I just measured the finished product wrong on my drawings. 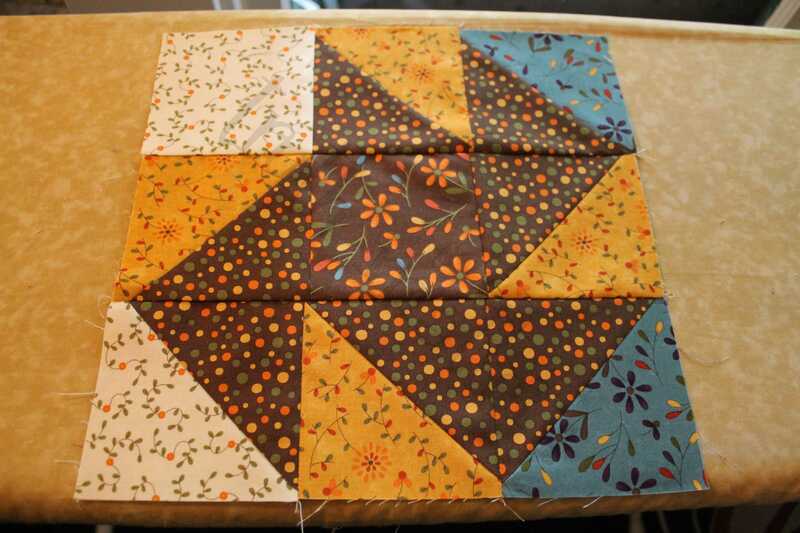 The second border is 4″ (cut at 4 1/2″) all the way around. 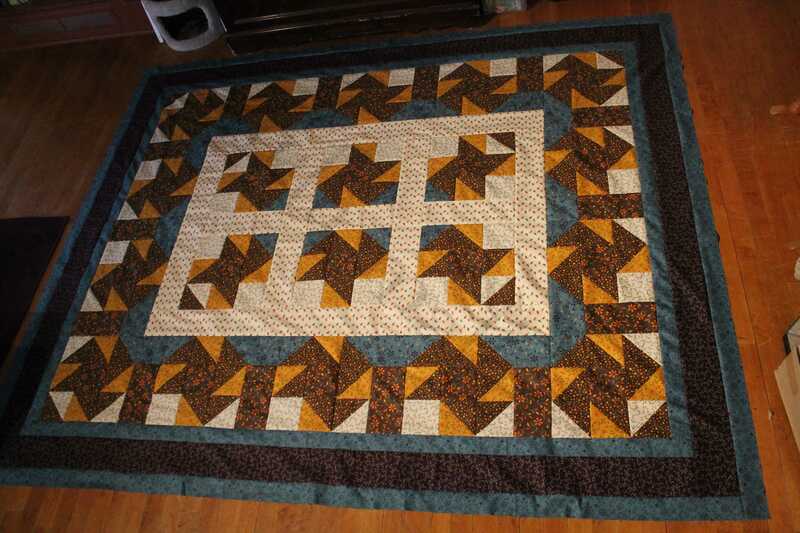 Again, please measure your quilt and cut accordingly. I had plenty of fabric after purchasing what I listed on Part ONE of this Mystery Monday. 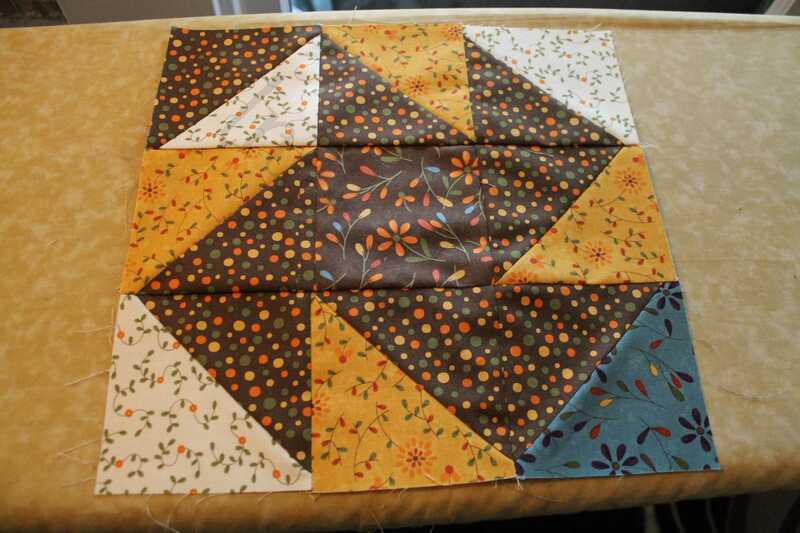 The final border is 2″ (cut at 2 1/2″) and that completes the Mystery Quilt for Christmas. My friend Melodee is creating a 6″ border for the final border because she wanted it to fit a queen. 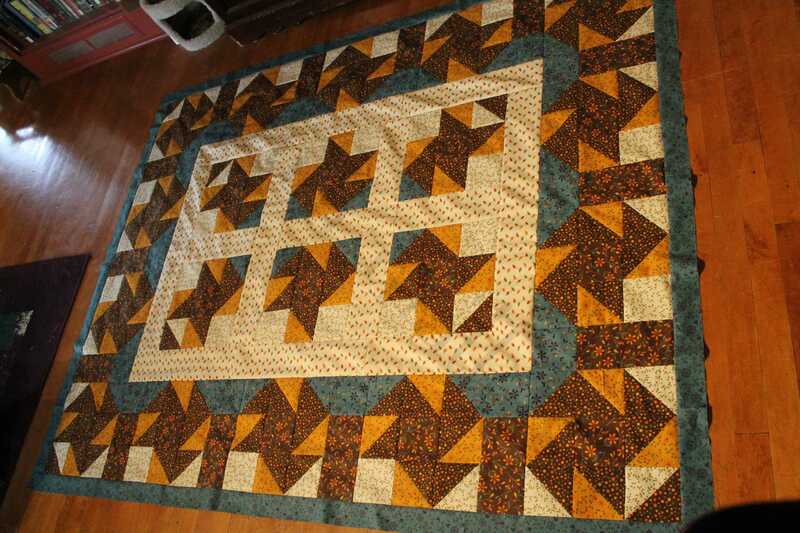 As written, this quilt top does not quite fit a queen bed. I can’t believe I didn’t bring my papers with the measurements. 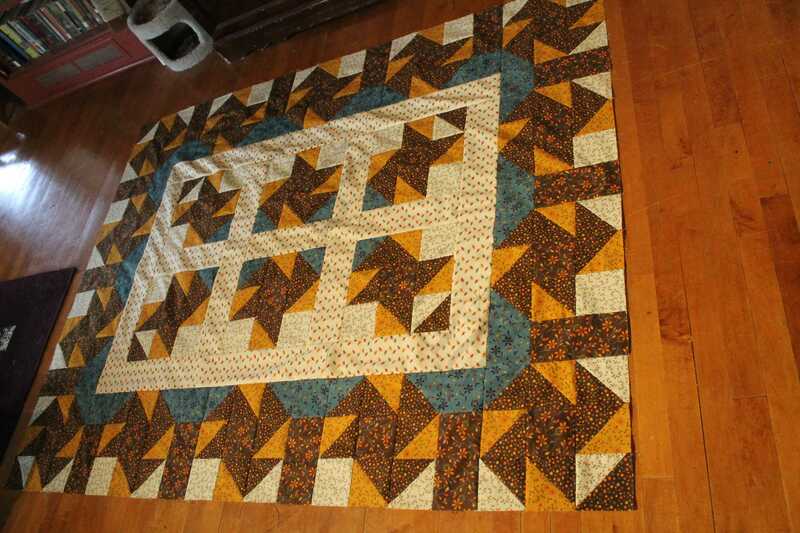 I can’t remember exactly how big it was when finished but it was plenty long enough but not wide enough for a queen bed. It barely went over on both edges by a few inches. I will try to fix that by editing this when I get home. We’ll see. 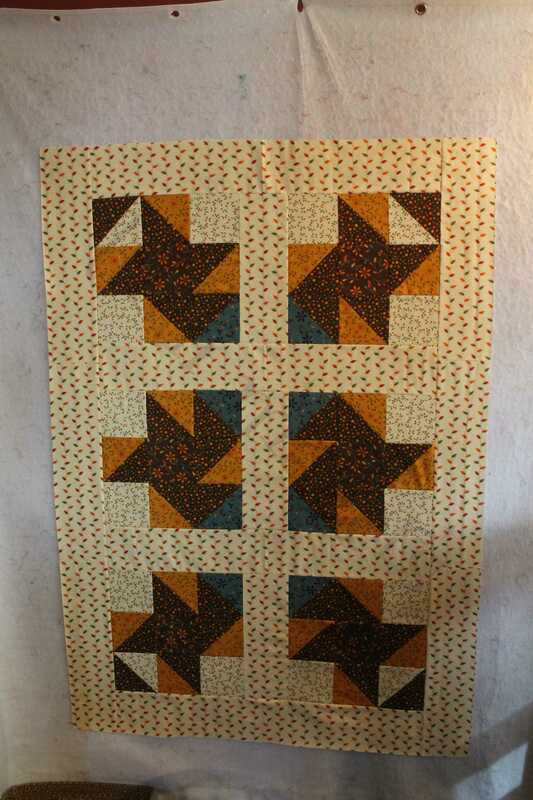 Now, where did I get this quilt top from? Basically, it says to send a SASE and get a free pattern. 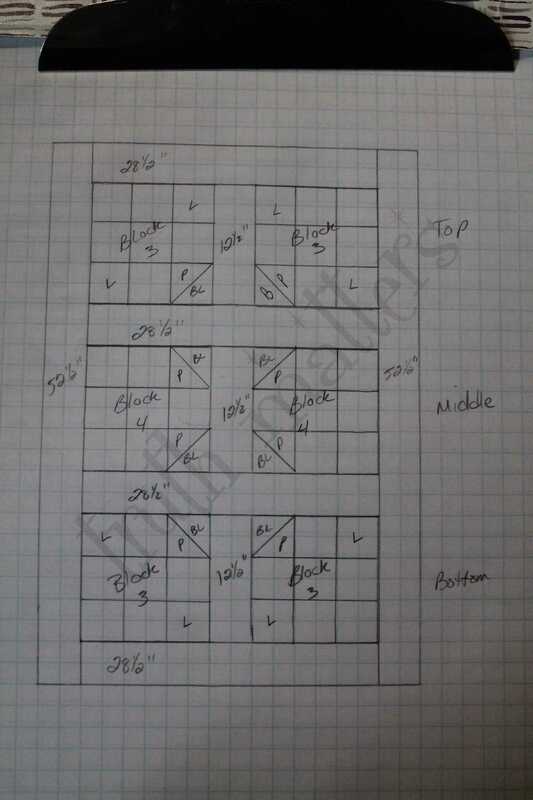 Since it has been some 20 years or more since it was published, I just recreated it on my graph paper. 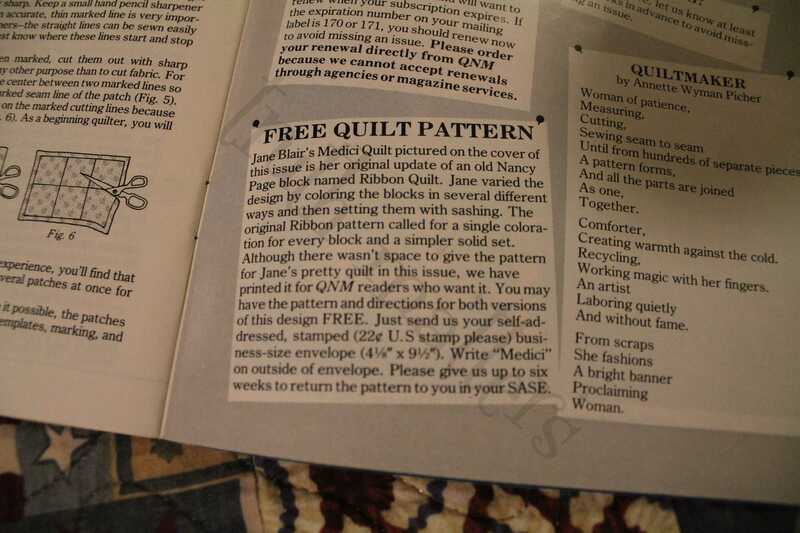 The title of the original in the Quilter’s Newsletter is Medisi. 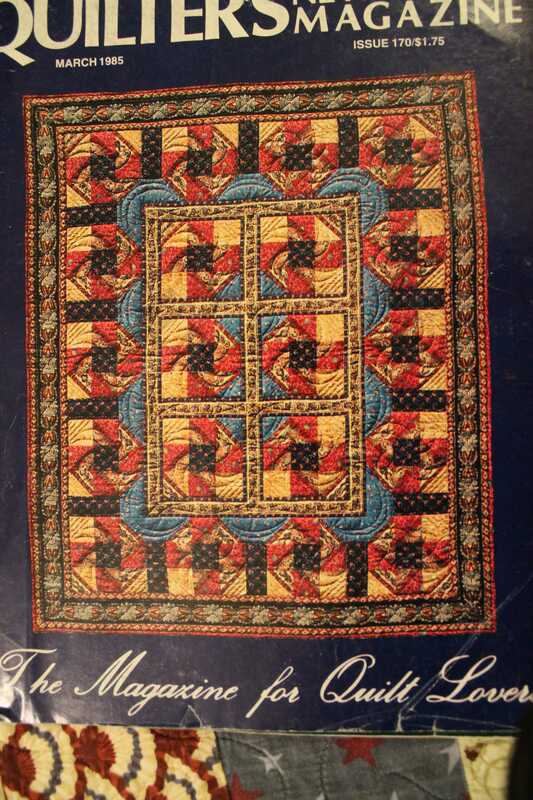 What an awesome name for such a beautiful quilt, yes? P.S., those waiting for mail from me, it did not go out as promised. I got sidetracked this past week and WILL get to it this week. You’ve my word – and, since I want more people to play with me, I gotta keep my word. Right? Good morning! As I said in the previous post, I had a kitty get sick and I’ve been working my tail off, trying to get ready for a parental visit. It’s been a long time since they’ve come to my house and I really wanted it to be perfect! In the middle of all that, I pulled a leg muscle which meant I couldn’t use my sewing machine and a kitty got sick, which was not pleasant at all. The kitty is not healed yet. We’re waiting for test results to find out if anything can be done for her. Basically, she just up and quit walking. They believe it is neurological and caused by brain damage (no external signs of trauma) or a virus that will take, at least, 6-8 weeks of antibiotics. At the end of that, we’ll find out of the damage done is permanent. 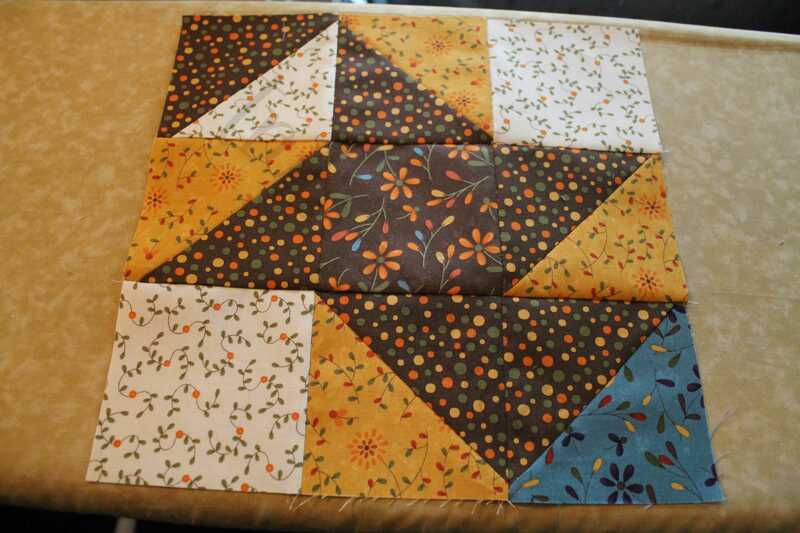 So, having said that, I’ll say that I did not get my blocks done. I’m going to try and get them done, however, I did a drawing while laid up with my leg hurting that will keep you moving. To start, we’ll make three rows. The first row we make, we’ll make two of. 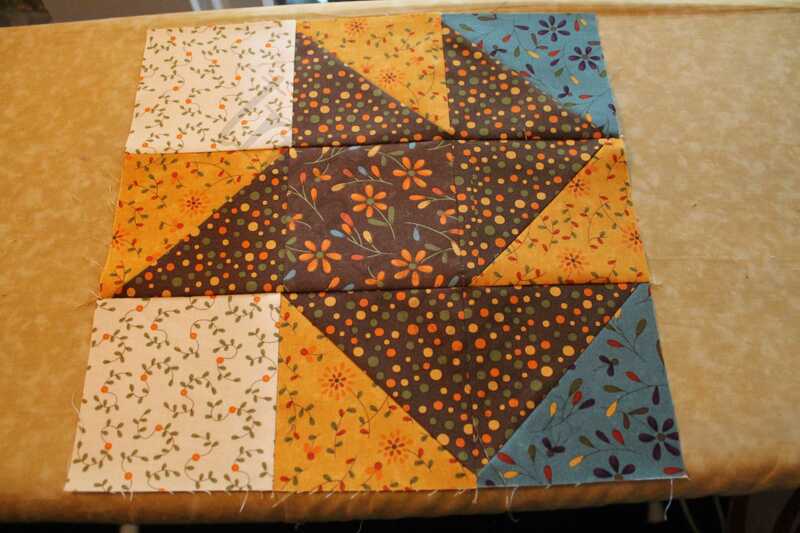 STRIP ONE (create TWO): Using (2) of Block 3, we’ll put those together with (1) strip of the “Inner Border” fabric cut to 12 1/2″ x 4 1/2″. 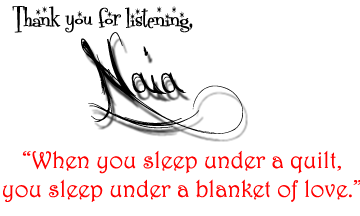 Click the picture to see it larger. STRIP TWO: The next we’ll make will be the middle row. 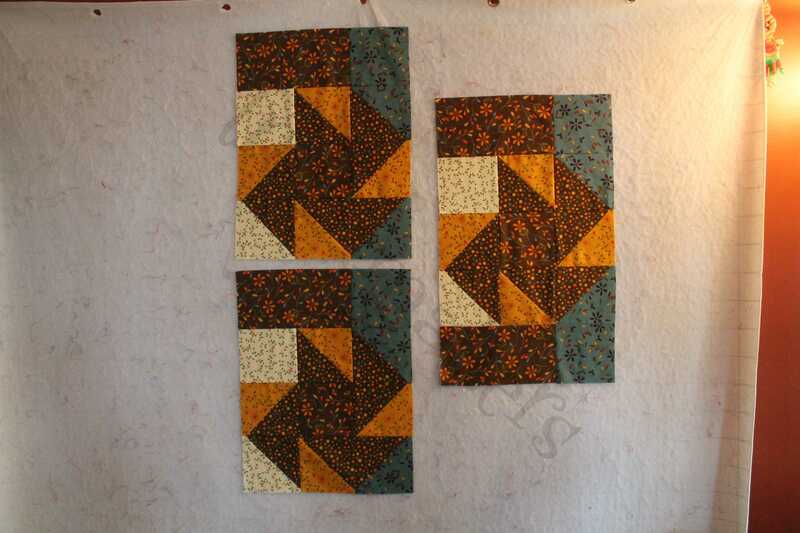 You’ll need (2) of Block 4 and (1) “Inner Border” fabric cut as 12 1/2″ x 4 1/2″. Click the picture to see it larger. Using (4) cuts of the “Inner Border” fabric cut at 28 1/2″ x 4 1/2″ and (2) cuts of the “Inner Border” fabric cut at 52 1/2″ x 4 1/2″, assemble. You can click the picture to see it larger. 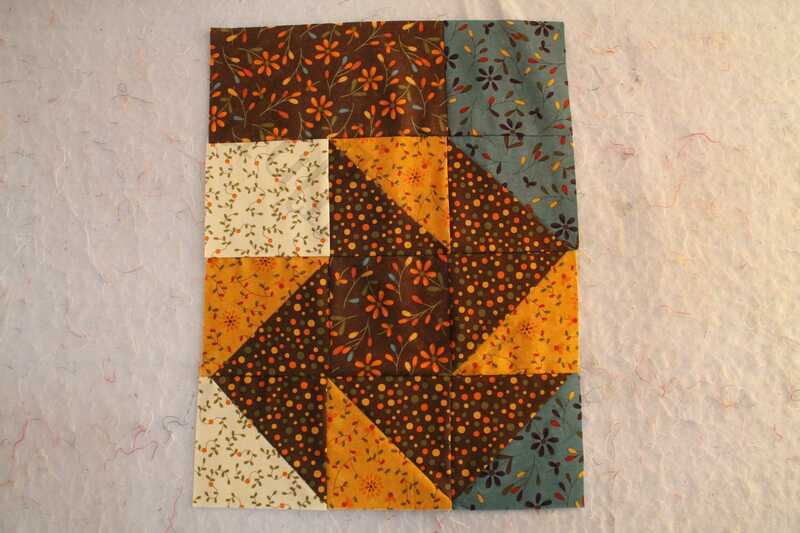 When finished that, add the two side pieces of Inner Border fabric cut at 52 1/2″ x 4 1/2″. We’ll see you Monday! If I don’t get it sewn, I will draw out a picture again as instructions. Please, ask questions if you need to!